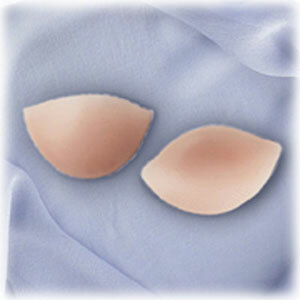 The Perceptions - breast enhancers which offer a simple way of enhancing your figure. Can be used to create cleavage or to increase your natural cup size. To increase cup size, wear in a bra one size larger. To enhance cleavage, wear in your regular bra. As a guideline, size 1 is most suitable for A/B (28-32) cup sizes, size 2 for B/C (32-34)cup sizes, and size 3 for cup sizes above C (34-38). Crafted from a supple silicone which feels natural, molds to your body shape and warms quickly to your skin temperature. Available in 3 sizes; 1, 2, and 3. Sold in pairs.